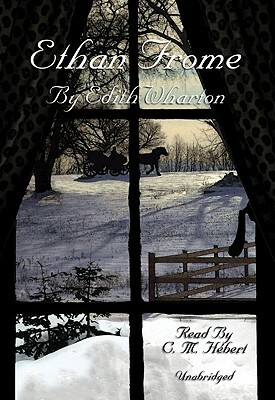 Often regarded as Edith Wharton's finest achievement, Ethan Frome contrasts sharply with her usual ironic contemplation of fashionable New York society. Set in the bleak winter landscape of New England farmlands, this keenly-etched portrait of the simple inhabitants of a nineteenth-century village is a masterpiece of literary realism. Ethan is a patient, rough-hewn man tormented by a passionate love for his sickly wife's young cousin, Mattie, who has come to offer her domestic services. Restricted by the bonds of marriage--however loveless it may be--and the fear of public condemnation, Ethan's desperate quest for happiness leads ultimately to pain and despair. Ethan's story, with its tragic implications of what might have been, has held irresistible fascination for readers for over a century. The tale of a decent man's fall brought on by his finest feelings is a haunting study of the human conflict between desire and duty.